Death isn't enough to keep a classic character out of the latest 'Star Wars' film. Spoilers ahead for Rogue One: A Star Wars Story. You probably didn't expect many surprises in Rogue One, the first Star Wars "side story" which details how, exactly, the Rebel Alliance acquired the plans for the Death Star. Indeed, the entire film seems to exist just to fill in a bit of background detail for A New Hope, our first Luke Skywalker adventure. 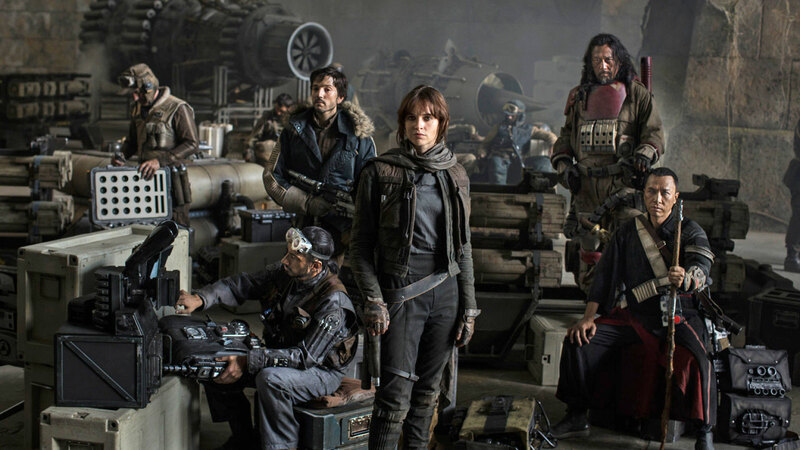 But it turns out Rogue One is much more than an elaborate bit of fan service. It's surprisingly harrowing, genuinely moving and it'll likely go down as a milestone for digital-actor resurrection. 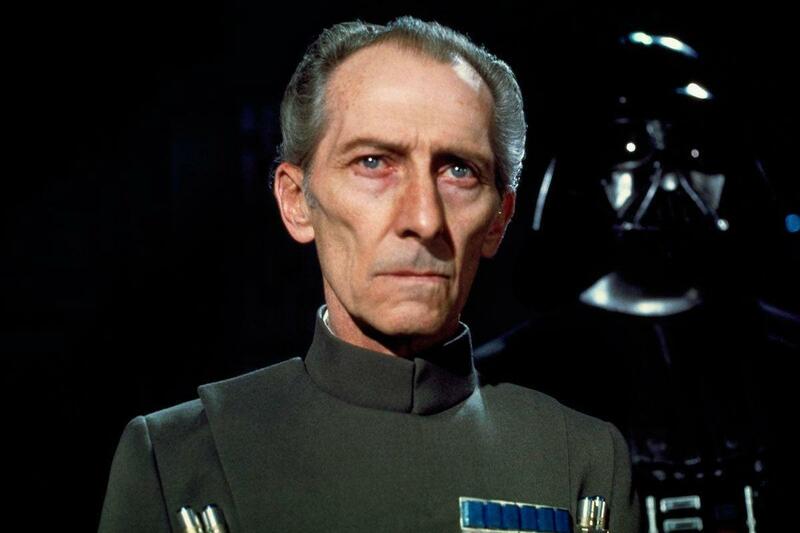 Rogue One brought Peter Cushing, the legendary British actor who played Grand Moff Tarkin in the original Star Wars and passed away in 1994, back from the dead this past weekend as a CG character. His digital copy, which was portrayed by actor Guy Henry, isn't just a quick cameo, either. He has several important scenes and lengthy dialogue exchanges with real actors, particularly Ben Mendelsohn's Orson Krennic. The film never highlights his digital nature; he's simply treated like a typical actor. In many ways, CG Tarkin (as I'll call him) is a landmark achievement. At the same time, though, the limitations of today's computer rendering are quickly apparent in his stiff movements and cold, dead eyes. It might be a bit cruel to say this, but it's not hard to argue that CG Tarkin is the Jar Jar Binks of Rogue One. They're both ambitious digital characters that are commendable on a technical level, but whose problematic execution can't help but take you out of their films. And the notion of placing an actor in a film decades after their death raises some serious questions about how we'll treat digital likenesses in the future. This isn't the first time we've seen deceased actors return to the screen. Oliver Reed's face was digitally reconstructed for Gladiator in 2000 after his death, and most recently Paul Walker was digitally revived in Furious 7. We've seen the likes of Audrey Hepburn and Bruce Lee brought back in commercials. You could even count the holographic return of Tupac and Michael Jackson as one aspect of this trend. CG Tarkin, then, is just the next logical step. I found it hard not to get distracted by CG Tarkin. While ILM's animators did a fine job of recreating Peter Cushing's visage, today's technology still can't effectively render things like believably human eyes. And those deficiencies are even more pronounced when a digital character is acting alongside extremely talented actors like Ben Mendelsohn. Rogue One also brings back some fan favorite Rebel fighter pilots by reusing old footage, as well as a major character from A New Hope with digital effects, but those instances are less noticeable because you see them only briefly. "Don't get me wrong, though -- what they pulled off with all these characters is an absolutely impressive feat," the visual-effects artist said. "A CG character that doesn't immediately jump out as CG is a hell of a thing to pull off. As an industry, we've basically nailed creature work down. Just look at Caesar from Planet of the Apes and tell me that he isn't a living, breathing character. It's people that are the final challenge, and I think we are nearly there." While watching Rogue One, I couldn't help but think of Ari Folman's The Congress, a science-fiction film set in a world in which actors can sell their likenesses to movie studios that can do whatever they want with their digital doppelgangers. It's only a matter of time until that fantasy is made real. And, let's be honest, audiences will likely flock to see their favorite actors frozen in time, never aging with every subsequent comic-book sequel. The visual-effects industry worker I talked to doesn't think we'll see many resurrections like CG Tarkin outside big-budget tentpole films. The worker also noted that it seems disrespectful to the memory of deceased actors, who don't have the chance to turn down these posthumous film roles. These days, actors' estates usually dictate how their images are licensed. But is that appropriate when the actors end up playing significant roles in films? I wouldn't be surprised if we settle on a solution similar to what was presented in The Congress. In that film, actors had to sign away their likenesses, and they were also barred from acting again (a particularly twisted noncompete clause). That wouldn't be an ideal future, but at least it's one actors can choose for themselves.